Dead is dead. Missing is gone. When Felix Brewer meets nineteen-year-old Bernadette "Bambi" Gottschalk at a Valentine's Day dance in 1959, he charms her with wild promises, some of which he actually keeps. Thanks to his lucrative—if not all legal—businesses, she and their three little girls live in luxury. But on the Fourth of July in 1976, Bambi's comfortable world implodes when Felix, facing prison, vanishes. Though Bambi has no idea where her husband—or his money—might be, she suspects one woman does: his devoted young mistress, Julie. When Julie disappears ten years to the day after Felix went on the lam, everyone assumes she's left to join her old lover—until her remains are discovered in a secluded park. Now, twenty-six years later, Roberto "Sandy" Sanchez, a retired Baltimore detective working cold cases for some extra cash, is investigating her murder. What he discovers is a tangled web of bitterness, jealousy, resentment, greed, and longing stretching over five decades. And at its center is the man who, though long gone, has never been forgotten by the five women who loved him: the enigmatic Felix Brewer. 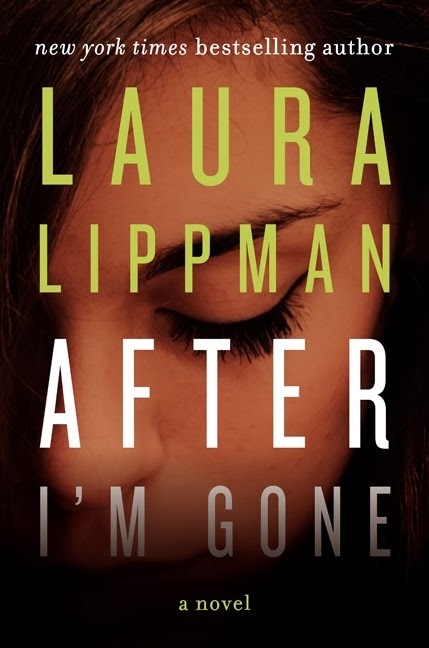 I have been in a bit of a funk lately when it comes to reading; and somehow, I missed that Laura Lippman has a new stand-alone novel out called AFTER I'M GONE. Once I realized the error of my ways, I quickly got my hands on a copy of this book. Boy am I glad I did! I absolutely loved AFTER I'M GONE and it's definitely one of the best books I've read so far this year. Considering I haven't exactly been reading all that much, that might not sound impressive. However, I guarantee you that this novel will go down as one of my favorites for 2014. At it's simplest, AFTER I'M GONE tells the story of the disappearance of Felix Brewer, a Baltimore man who was involved in some questionable ventures. No one knows where he went over 25 years ago or even if he's alive or dead. When his mistress Julie goes missing ten years to the day after Felix mysteriously left, most believe she left to be with Felix. That theory doesn't pan out when her body is found in a secluded section of a park sixteen years later. Sandy Sanchez, a retired detective who is now a contractor working on cold cases, decides to investigate Julie's death. His investigation takes him back almost fifty years as he looks into Felix's past as well as his relationship with his wife, mistress, and his friends. As he gets closer to finding out what happened to Julie (and Felix), he begins to discover that the people involved in Felix's life are holding onto many long-time secrets. Where do I even begin to talk about AFTER I'M GONE? I loved this novel... for so many reasons. The mysteries were definitely intriguing, as were the cast of characters; and there were so many twists and turns that I actually had no idea where the story was going. Ms. Lippman is truly one of the best writers of crime fiction out there. However, I think it's Ms. Lippman's ability to get inside her characters' brains and make them real that really made this book outstanding. I love that not only was there an interesting mystery (or two! ), but that she also managed to make this book about so much more than just these mysteries. Basically, Ms Lippman delved into how this man's disappearance affected the five women in his life -- his wife, his three daughters, and his mistress. Her psychological insight into this situation was fascinating to me as a reader, and I thought she was brilliant. AFTER I'M GONE was written in a very special way. 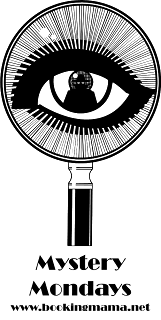 The story goes back and forth between the present and the past, and the reader is able to pick up clues along the way about both Felix's and Julie's disappearances, but also about the relationships between the characters. I thought the transitions between the flashbacks were extremely well done and transitioned very smoothly. Furthermore, I loved learning how life was for Felix's family both before and after his disappearance. Needless to say, it took a toll on them both physically and emotionally! Another thing that I absolutely adored about AFTER I'M GONE was the character of Sandy Sanchez, the retired detective who was investigating the crime(s). I loved him! He was so complex and dealing with some baggage of his own; and I think that he's just a wonderful character. I hope to see more of him in future novels; and based on the ending, I think that might be the case. AFTER I'M GONE would make an awesome book club pick -- truly awesome! Not only is the story riveting, but the characters are fascinating in their own right. As a result, there is so much to discuss. I was excited to fine a reading guide with fourteen questions. Some of the themes you might want to talk about include actions and consequences, betrayal, honestly, deception, trust, family, friendship, adultery, marriage, parenting, stereotypes, and more! AFTER I'M GONE is just a terrific novel that you shouldn't miss! Highly recommended! Lippman got me out of a reading funk once, too! I haven't read Lippman in ages but it sounds like I need to pick this one up ASAP. It sounds wonderful! For some reason I was on the fence about this one, but your review is terrific and I will definitely add this to my list! I read this in January and loved it, I also really like Lippman's book What the Dead Know. 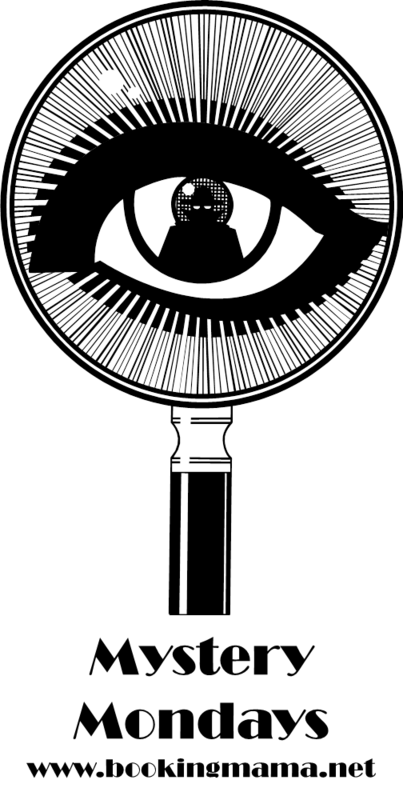 I have this one too, but just haven't gotten to it. I loved this book for all the same reasons!